Disclaimer: The following bite is my perspective on BlackBerry; this is not an endorsement or a recommendation for investors to buy, sell or short the stock. BlackBerry (BB) shares are trading at $10.07, up 14.82% from yesterday. The company beat the street in Q4 with a net profit of $0.08 per share versus the $0.06 loss last year, while its software and services grew +14% year-on-year. Those are really good results. But is Blackberry stock still a good trade at this price level? Or should you sell it now? Let's take a look at the optimist's view first. 1. BlackBerry has transformed itself as an enterprise. It's not a device player any longer. With more than $1 billion in software revenue coupled with rising license fees, Blackberry is positioned for a solid future. 2. Blackberry is positioned on two attractive markets: Internet of Things (IoT) and security. Security has become increasingly important to thwart data theft. IoT is a rapidly growing market that connects disparate devices and systems. Both markets are growing at a double-digit percentage. 3. I find the management team very competent. BlackBerry delivers the top line number investors expect to see. Also, there is no confusion around what the future of BlackBerry is. 1. I think BlackBerry Limited (BB) forward P/E ratio is rather high at 52. It's higher than industry peers’ P/E ratio. 2. I don't see BlackBerry's path to becoming a large cap (i.e., a much larger company). Mr. Chen is a competent CEO. However, BlackBerry cannot successfully compete against the giants in the enterprise software and communications industries. In my mind, BlackBerry will either stay a niche player, or be bought by a larger competitor. 3. I don't see a huge upside for the stock. BlackBerry Limited (BB) average analyst price target is barely above its current price. I don't own BlackBerry stock and I am going to sit out this rally. But, given the pros and cons above, I would have held it if I had owned it. 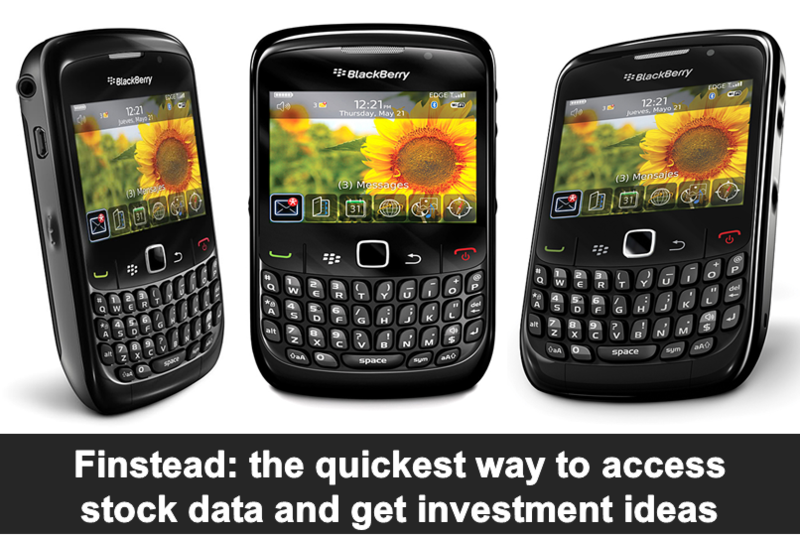 For the latest price and information on BlackBerry, please visit Finstead and search for "BB analysis", "BB stats" or "BB news". BlackBerry Limited (BB) earnings: will the rally last? BlackBerry Limited (BB) shares are trading at $7.58, up 3%. The company announced its quarterly earnings results today before the market opens--and it beat analysts’ forecasts. It is also signaling its reinvention as a software company is taking hold. Will today's rally last? BlackBerry turned a profit of $59 million in the last quarter, which is a huge improvement compared to a loss of $275 million a year earlier. It earned five cents US a share, beating the average analyst estimate of two cents. BlackBerry recorded $228 million in revenue, compared with the average analyst projection of $216 million. Blackberry has recently announced an intention to buy an AI-based cybersecurity company Cylance for $1.4 billion. Cylance's client base includes over 100 Fortune 500 clients. Investors are showing interest in the company as they feel that the Cylance deal will be a game-changer. On the other hand, a few bearish investors worry about decelerating revenue growth. Last quarter’s revenue fell 10% to $214 million and earnings per share came at 4 cents compared to 5 cents for the same period last year. Over the last month, BlackBerry Limited (BB) returned -11.05%. BlackBerry Limited (BB) forward P/E ratio is 54.94, and it’s high compared to its industry peers’ P/E ratios. BlackBerry Limited (BB) average analyst price target ($11.57) is 45.17% above its current price ($7.97). 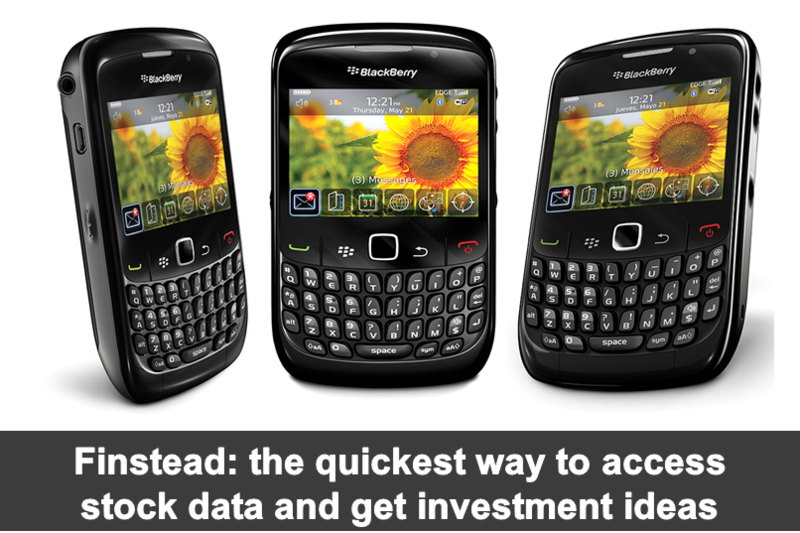 For the latest price and information on BlackBerry Limited, please visit Finstead and search for "BB price" or "BB news". BlackBerry Limited (BB) shares are trading at $10.30. The company is expected to publish its Q2 fiscal 2019 results on Friday, September 28. What's driving BB stock price? 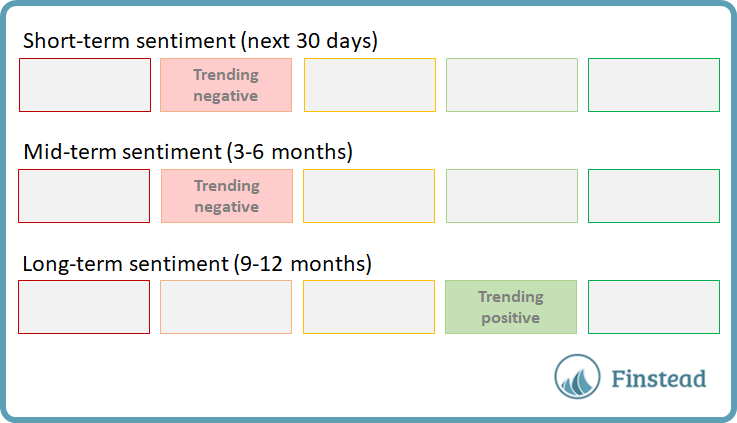 What's BB stock price forecast? Blackberry stock produced a return of over 60% in 2017, but it did not keep up with investors' aspirations this year. The company has changed its business model and now reports in three segments: enterprise software and services, technology solutions, and licensing (a.k.a., the IP segment). Some investors are bullish about the stock as they expect strong future growth in the software and services segment. 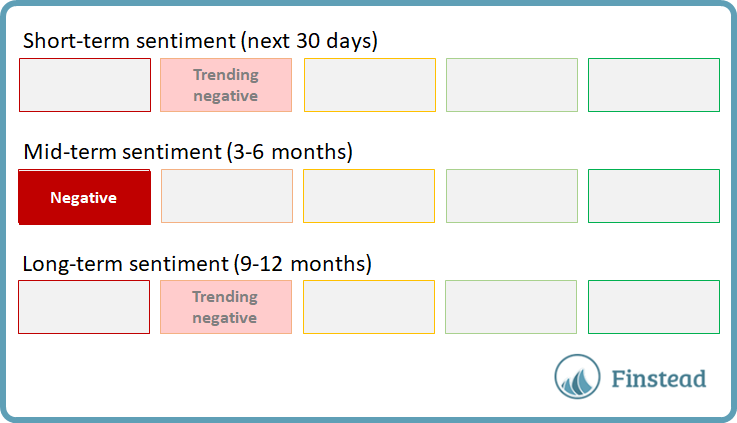 On the other hand, many other investors are losing patience with the company because of the inefficient use of cash, and believe that management needs to clearly outline how it plans to use cash in the next earnings call. Revenue fell 11% to $217 million in the last quarter and earnings per share came at $0.03. The company is scheduled to release the second-quarter fiscal year 2019 results before market open on September 28, 2018. For the upcoming report, analysts expect the company to earn $0.01 per share on revenue of $209.38 million. The company beat analyst estimates in the previous four quarters. Over the last month, BlackBerry Limited (BB) returned +0.4%. BlackBerry Limited (BB) forward P/E ratio is 68.67, and it's high compared to its industry peers' P/E ratios. BlackBerry Limited (BB) average analyst price target ($11.99) is 18.6% above its current price ($10.11). Are you looking for the analysis of BlackBerry Limited (BB) stock? Are you wondering what the bulls and the bears say about it? If so, you came to the right place. In this stock guide, we will share with you 8 reasons to buy and 5 reasons to sell BB stock. You’ll get a perspective on what the bulls and the bears say about it. Is BB a buy or a sell? Should I sell or hold BB stock today? Is BB a good buy / investment? What are BB analyst opinions, recommendations and ratings? 1. BlackBerry is widely recognized for productivity and security innovations. The company delivers one of the most secure end-to-end mobile enterprise solutions in the market through a broad portfolio of products and services. It offers an end-to-end software and services platform for the Enterprise of Things. 2. Blackberry is positioned on attractive market segments: IoT (Internet of Things) and security. Security has become increasingly important to thwart data theft. 3. BlackBerry has inked a strategic partnership with Baidu on a self-driving car project. The deal allows Baidu to use its QNX Hypervisor 2.0 software, which is designed for complex in-vehicle computer systems in its open-source self-driving platform, Apollo. BlackBerry has also entered a multi-year agreement with Jaguar Land Rover to collaborate and develop technology for the latter’s next-generation vehicles. 4. Blackberry has proven it has transformed itself into a software entity and has completed its overhaul. With more than $1B in software revenue coupled with rising license fees, Blackberry is positioned for a solid future. 5. BB quarterly revenue growth was 9.40%, higher than the industry and sector average revenue growth (3.73% and 5.21%, respectively). See BB revenue growth chart. 6. BB profitability is improving. The YoY profit margin change was 135.59pp. See BB profitability chart. 7. BB average analyst rating is Buy. See BB analyst rating chart. 8. 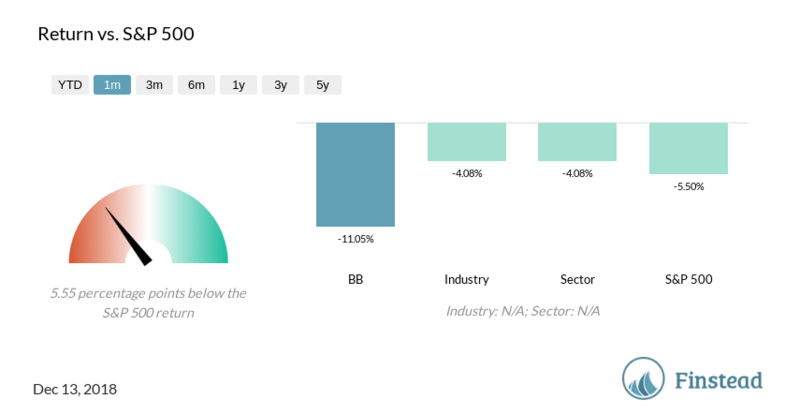 BB average analyst price target ($10.75) is above its current price ($9.28). See BB price target chart. 1. With increasing global exposure, BlackBerry does face the risk of adverse foreign exchange fluctuations. Apart from adverse foreign currency related movements, high debt levels are also concerning. The company exited fiscal 2018 with long-term debt of $782 million, much higher than the $591 million at the end of fiscal 2017. 3. 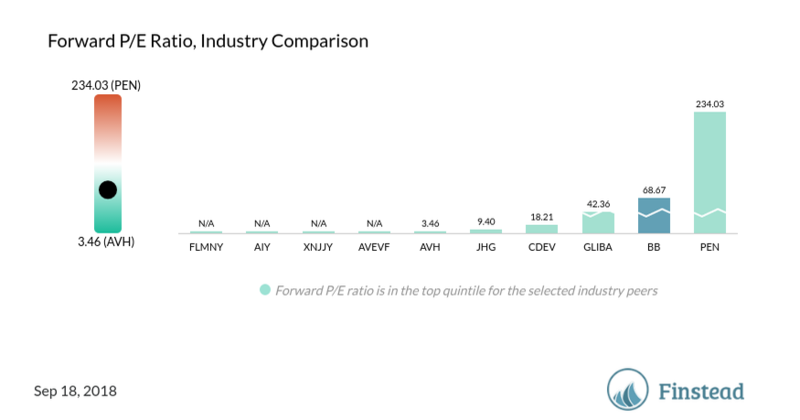 BB forward P/E ratio is 56.59, and it’s high compared to its industry peers’ P/E ratios. See BB forward P/E ratio chart. 4. BB Price/Sales ratio is 5.83, and it’s high compared to its industry peers’ P/S ratios. See BB forward Price/Sales ratio chart. 5. BB short interest (days to cover the shorts) ratio is 6.01. 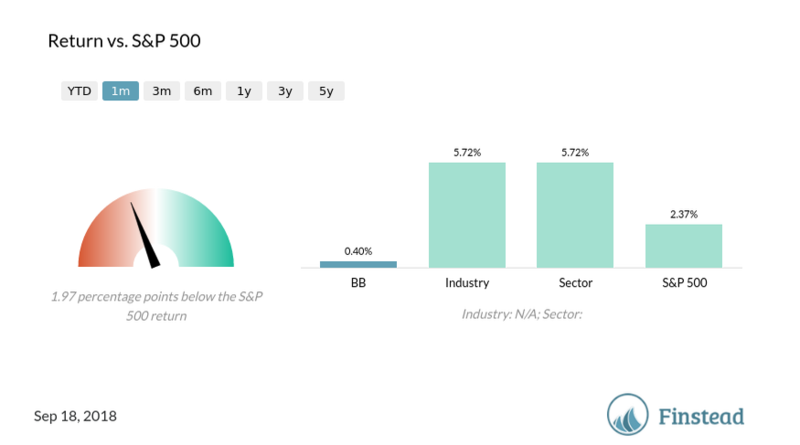 The stock garners more short interest than the average industry, sector or S&P 500 stock. See BB short interest ratio chart. What are your thoughts on BB?